Samford University’s Beeson Divinity School will welcome The Most Rev. and Rt. Honorable Dr. George Carey, the 103rd Archbishop of Canterbury, to speak at opening convocation Jan. 26 at 11 a.m. in Andrew Gerow Hodges Chapel. 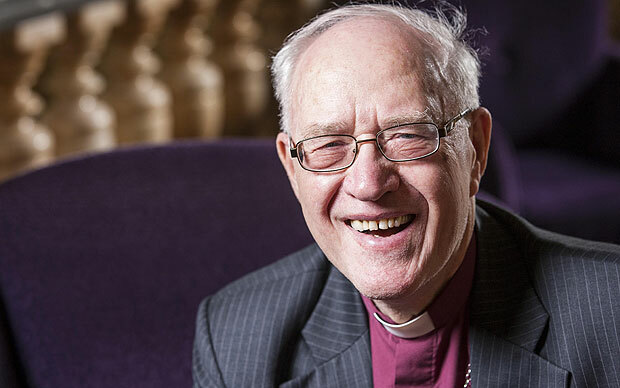 Also known as the Lord Carey of Clifton, Carey served on behalf of about 80 worldwide million Anglicans as the most senior bishop from 1991 to 2002. After his retirement in 2004, he became the first former archbishop to publish his memoirs, titled Know the Truth. Carey continues an active ministry of writing and lecturing around the world. He has received 12 honorary doctorates and has written 14 books. Carey is also presentation fellow of King’s College London, fellow of Christ’s University College in Canterbury, and fellow of the Library of Congress. Together with his wife of more than 50 years, Eileen, Carey serves as vice president of Tearfund, a Christian charity that works to end worldwide poverty. In addition to the divinity school’s opening convocation, Carey will lecture Jan. 26–27 and preach Jan. 31 at the Cathedral Church of the Advent in Birmingham.